Our highest calling is to love-both God and our fellow human beings. But what do we mean by the word Love? Marriage is based upon love, not just the emotion but also the will. Love is demonstrated in actions, in the willingness to shoulder the responsibilities and duties of marriage and family life. True love is absent if either is unwilling to truly commit for better or for worse. The history of marriage recorded in the Old Testament is not unlike the history of marriage through the centuries. What should have been a source of joy, freedom, and fulfillment has become, too often, a source of misery and despair. In his will, German poet Heinrich Heine offered his estate to the man who married his widow. The reason, he said, was that this way he’d be sure that there would be at least one person who mourned his death. One of the most devastating effects of sin has been its effect on marriage. 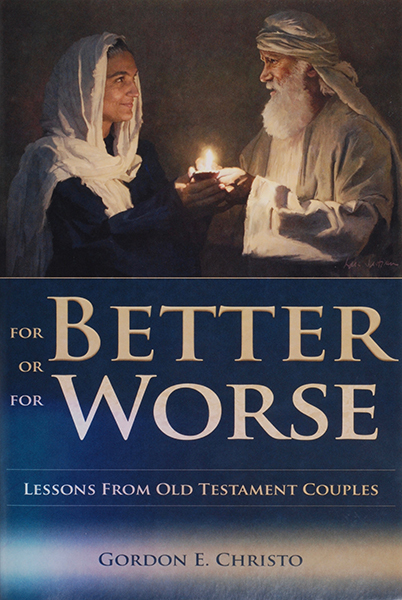 Author Gordon E. Christo has chosen each of the couples in the chapters of this book to represent a common type of relationship couples will recognize today. These relationships include obedient love, silent love, supportive love, stupid love, selfless love, steadfast love, selfish love, and forgiving love. Whether you are married or not, you will learn about respect, trust, kinship, devotion, loyalty support, and generosity and the destructive forces that are unleashed when one or more of these traits is absent in a relationship.